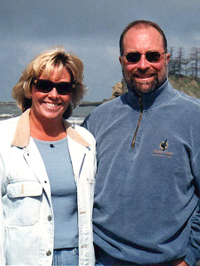 In 2010, Gary Sady was rediagnosed with Squamous cell carcinoma of the throat. Sady is a longtime WoodRiverValley resident who loves the outdoors. He has worked as a carpenter in the valley and has raised two children who attended WoodRiverHigh School. He also has two grandchildren. A benefit to raise money for his treatment and care will take place at Mahoney’s Bar and Grill in Bellevue on Saturday, June 18, from 3-8 p.m. Attendees are asked to bring a dish for a potluck meal, which will also include a silent auction, raffles and live music. Auction items include a Ted Waddell signed print, a Sun Valley ski pass, golf for four with carts at Sun Valley and many more items. In addition, a raffle will include a 50/50 cash winning. To follow Sady’s progress visit http://followinggary.blogspot.com. Donations to assist Sady can be made at the D.L. Evans bank on East Bullion Street in Hailey to “Medical Fund” checking account. For donations or details, call 788-4535.